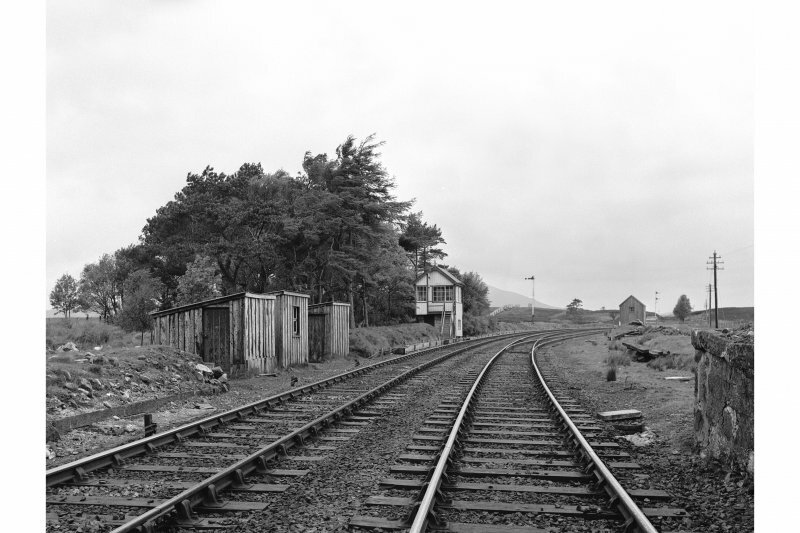 View of Forsinard Station platform and east signal box. 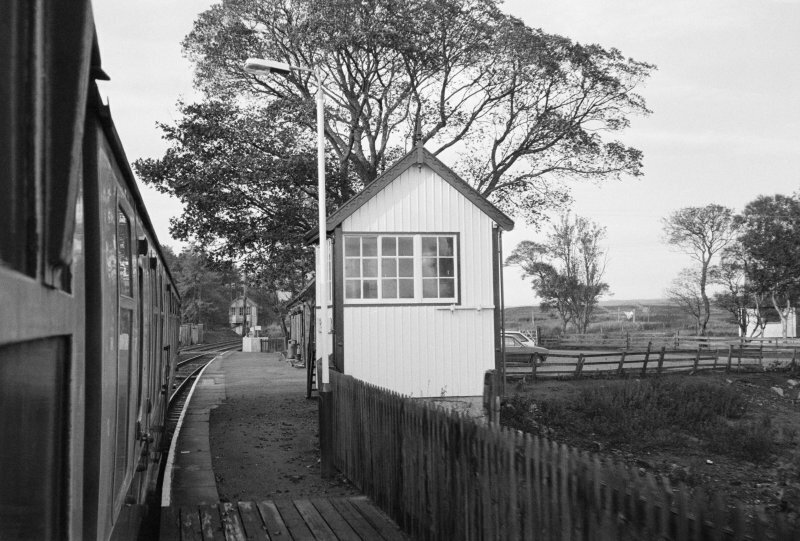 View of Forsinard Station and east signal box. 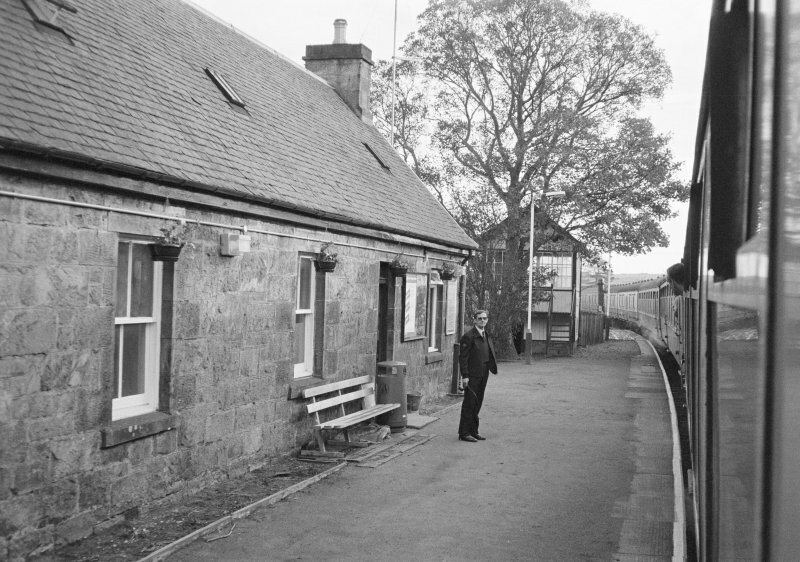 View of Forsinard Station platform and buildings. 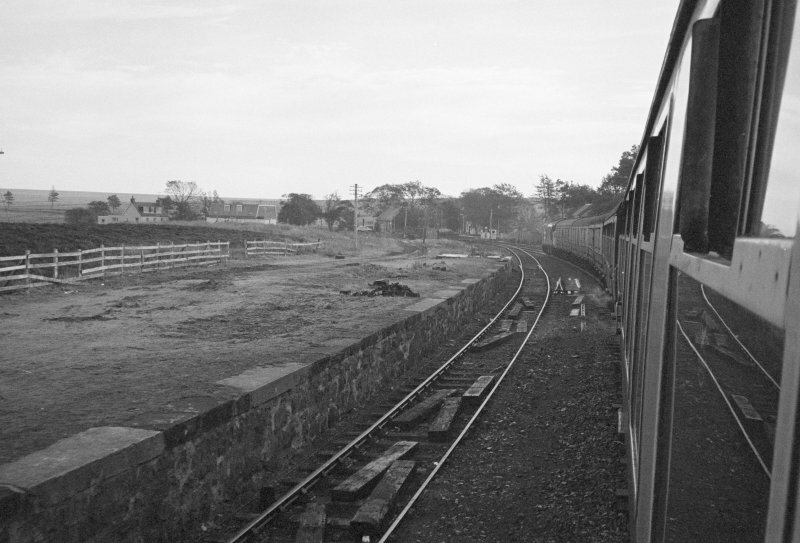 View of the approach to Forsinard Station. 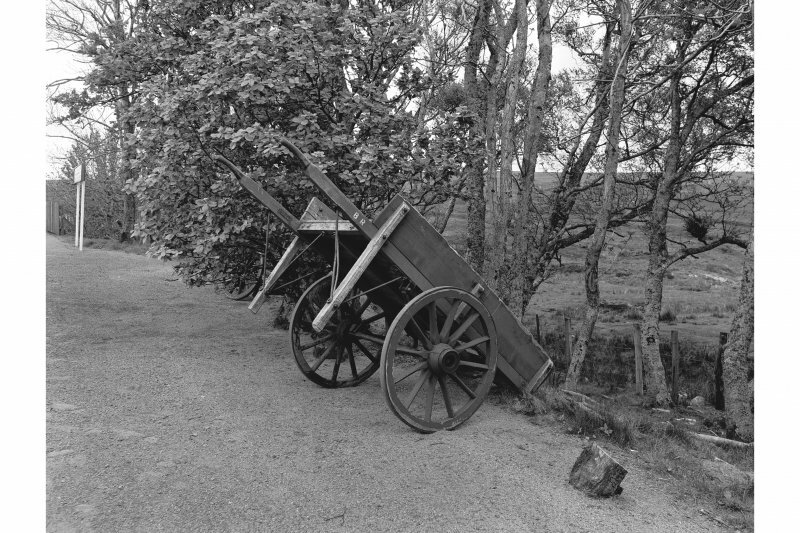 (Location cited as NC 892 425). 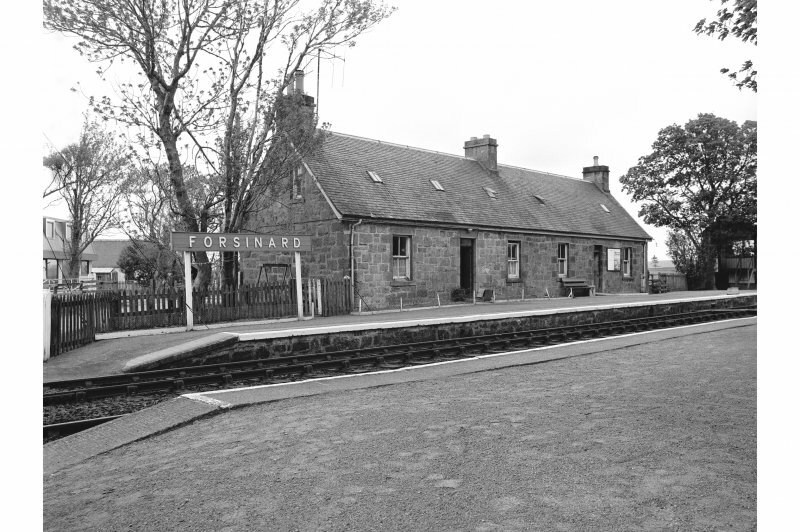 Forsinard Station, opened 1874 by the Sutherland Caithness Rly. 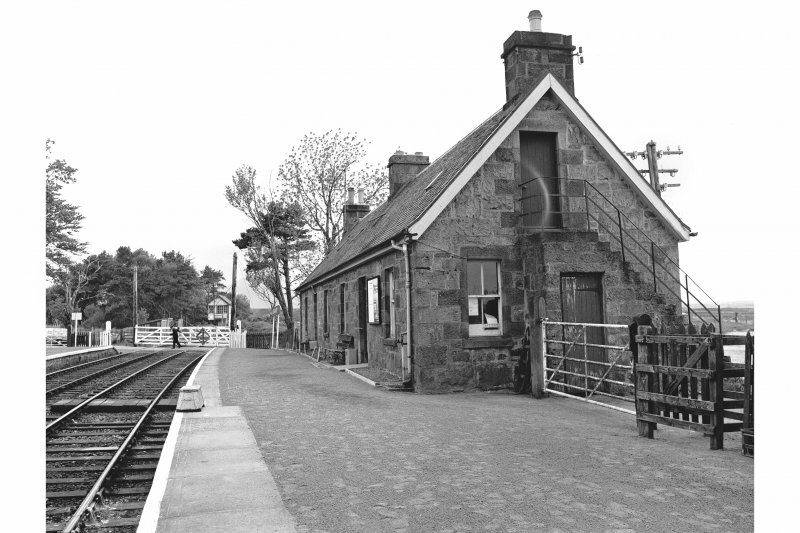 A station with passing loop is situated at the S end of Forsinard village where a level crossing on the A897 road itersects with the railway. 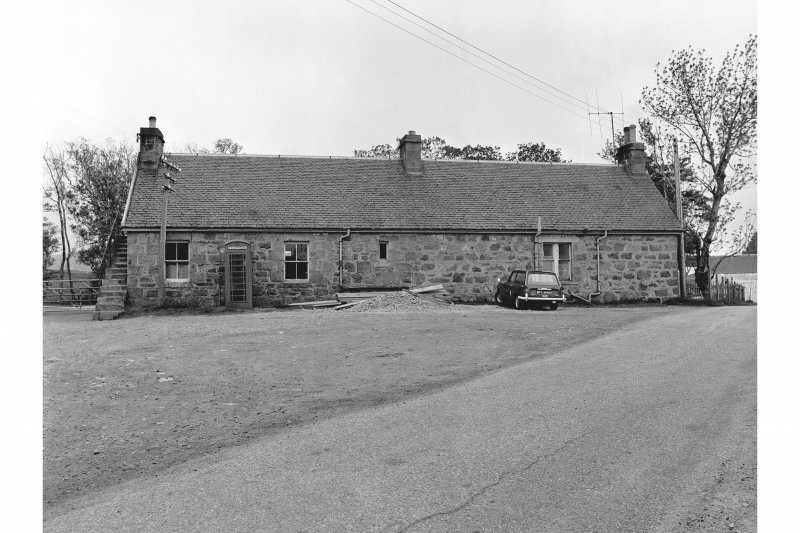 The single storey stone built with slated roof station building is now in use as a Nature Reserve Visitor Centre. 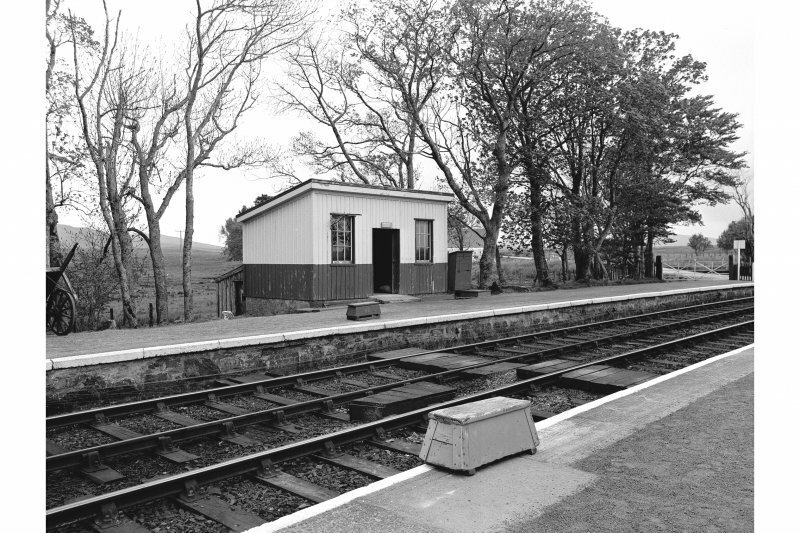 The platforms have stone base with concrete edging slabs and a gravel infill. 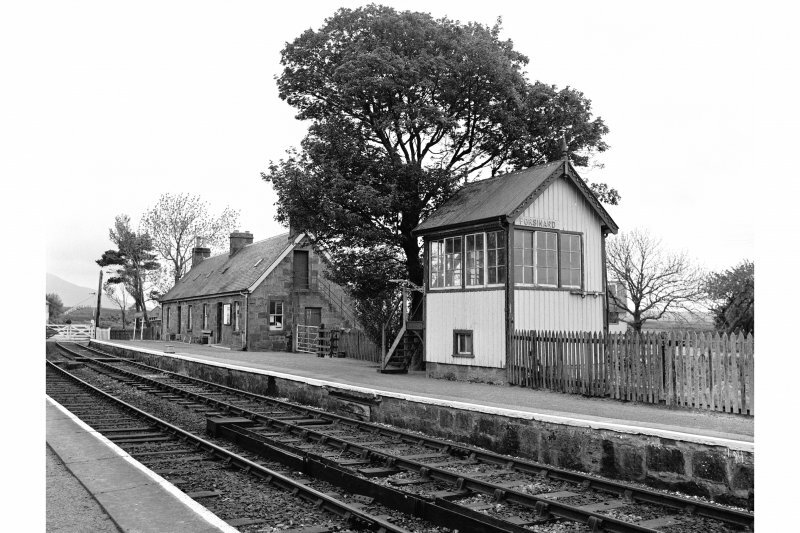 They are lower than the standard, necessitating the use of steps for passengers to board trains. 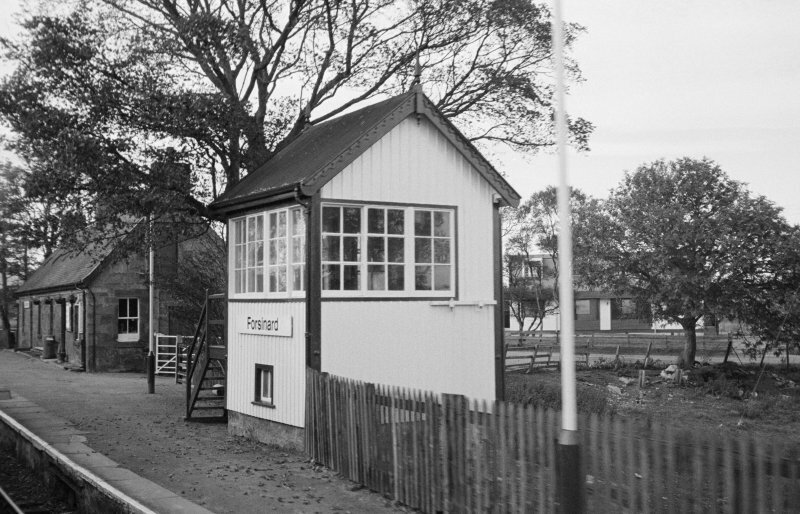 A modern 'bus' type shelter has been added to the down platform whilst an older corrugated iron shelter survives as a waiting room on the up platform. 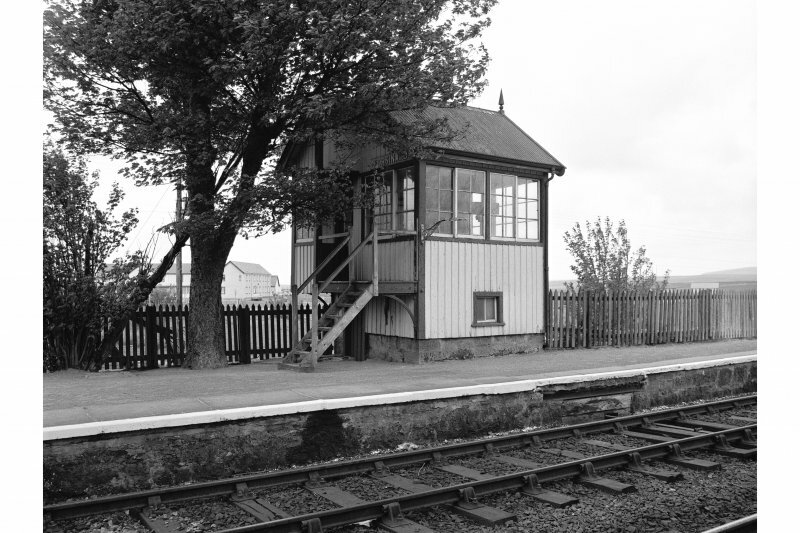 A boarded up signal box stands out of use at the N end of the dwon platform.